We have been involved in the scrap metal and steel business in Far North Queensland for over 50 years. We supply steel from Australia's largest steel manufacturers. 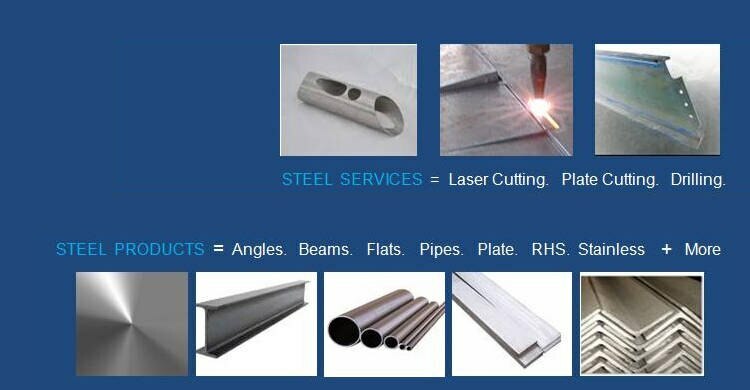 We offer a wide variety of steel products including RHS, pipes, rounds, flats, angles, roofing materials, beams, plate. Whatever the scale of the project, we can supply the steel you need. You can come to our warehouses in Cairns Townsville and Atherton, pick and purchase your steel products. Or you can place your orders and we will deliver the steel to you. If you need your steel cut or drilled according to specific measurements, we have state-of-the-art equipment installed at our Cairns's warehouses - laser cutter, plasma and oxy cutters and line drills. The Company, then trading as 'Tonkin Metal Industries', was founded by Vic Tonkin in the 1950's. It was one of Cairns' biggest scrap metal recycling businesses. Wayne Tonkin, Vic's son, began managing the Company in 1980. During this time, the business was renamed 'Tonkin Steel' and the company changed its focus to selling new steel, which was sourced locally or if required, it was imported. In 1998, Tonkin Steel opened in Atherton. Operations expanded with a 2nd branch opening in Townsville in March 2004. Wayne and Vic are committed to the success of Tonkin Steel. This means keeping up with the latest steel products and technological innovations in the industry. from DXF, PDF or scanned drawings from 3 to 200mm thick. RHS, Pipe, Flat Bar, Angle, Universal Beams, Universal Columns and much more. Sections up to 1000mm and round up to 500mm. Drill Universal Beams, Universal Columns, Welded beams, Angles, Flats, Channels, RHS and Plate with hold diameters from 8mm up to 40mm. Sections up to 20 metres in length and a metre in width. We supply steel from Australia's largest steel manufacturers. We offer a wide variety of steel products including RHS, pipes, rounds, flats, angles, roofing materials, beams, plate. If you need your steel cut or drilled according to specific measurements, we have state-of-the-art equipment installed at our Cairns' warehouses - laser cutter, plasma and oxy cutters and line drills.